Photo by Isabel Han | The State Press ASU's President Crow presents his ideas on future tuition during the ABOR Conference in Tempe, Arizona, on Tuesday, March 27, 2018. An Arizona judge has dismissed a lawsuit over tuition costs to attend Arizona’s public universities, which was filed by Arizona Attorney General Mark Brnovich against the Arizona Board of Regents last September. In the lawsuit, Brnovich said the Regents had raised tuition “dramatically and unconstitutionally high” and that granting in-state tuition to DACA students was unlawful. Maricopa County Superior Court Judge Connie Contes granted ABOR’s motion to dismiss the lawsuit on April 20, according to court records filed this morning. Brnovich said his suit was based upon Arizona’s constitutional requirement that college “should be as nearly free as possible." A similar suit brought by former state legislator John Kromko in 2007 was also dismissed. 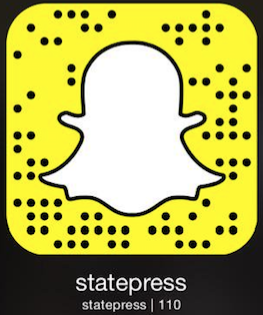 Reach the reporters at maarmst7@asu.edu and Emmillma@asu.edu or follow @MiaAArmstrong and @MillmanEthan on Twitter.